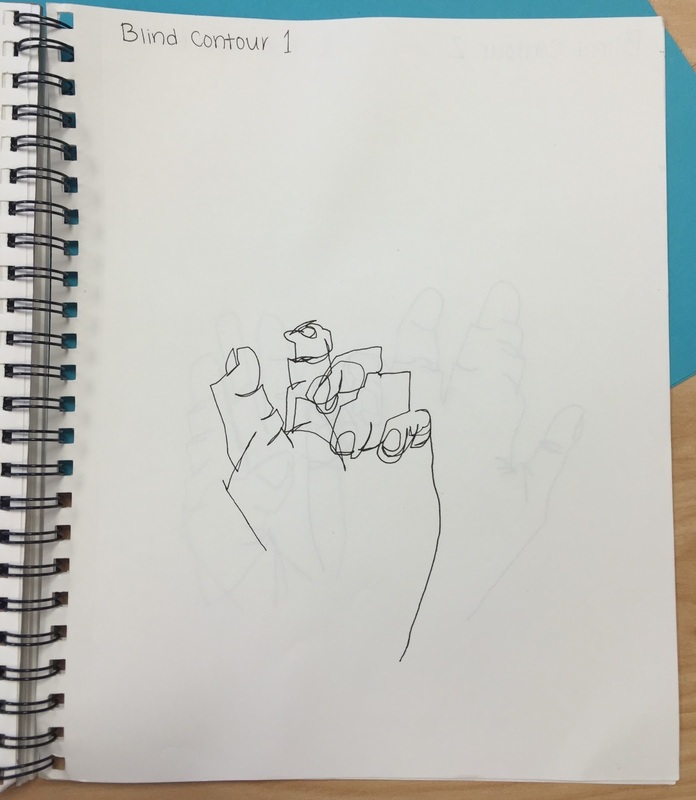 To do a blind countour hand drawing we had to place our pen on the paper and draw our hand with our eyes only on our hand and without taking the pen off the paper until we are finished. 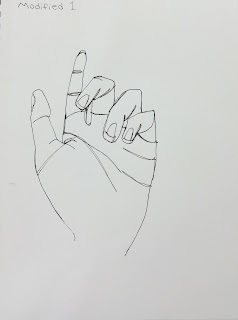 It was very challenging becuase my pen wasn't moving at the same speed as my eyes were. 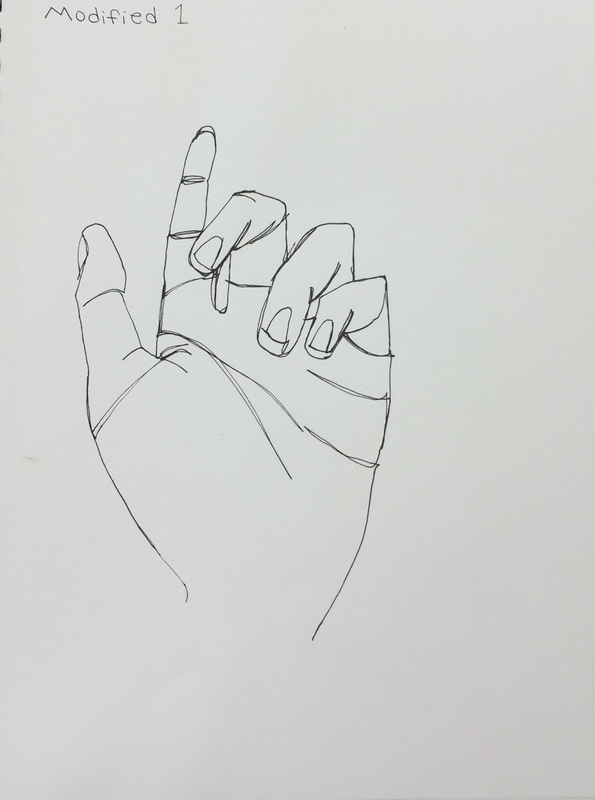 Modified contour hand drawings are the same concept except you are allowed to look at your hand. 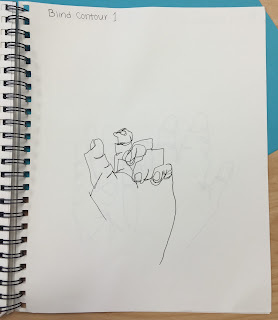 This was still challenging for me because I couldn't lift the pen!